The first of my two BMX quilt tops is now finished. Doing those mitred corners with matching patterns was almost too much for my sewing skill level. But I'm pleased with the overall effect and the personalization with J's racing number and photos. 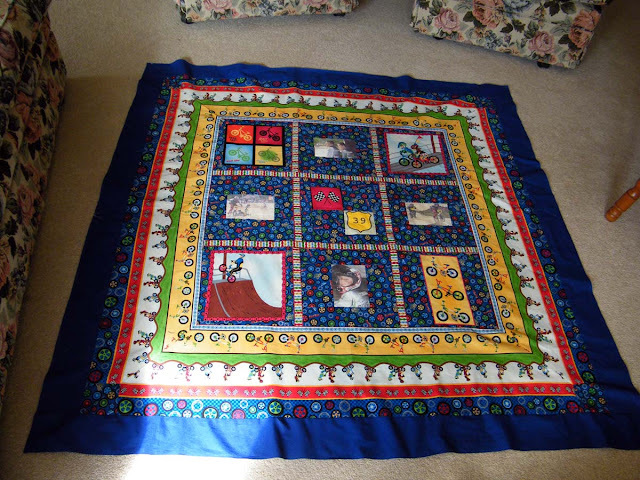 Now onto the second quilt - same layout but with different number and photos. great top! the mitred corners were well worth the effort. they look fantastic.